Promises not explanations, it is a pretty familiar quote that is easier to say than live. My Mom called me today and said Dad has been steadily going downhill and the last three days the change in him has been startling. It makes me want to ask God why. I suppose it must be the same for anyone facing hard times of any sort. I like to have answers to things that I do not understand, I want explanations, I tend to demand answers for why this is happening to us or our loved ones. I wonder what we would do if He did give us explanations for what He does? Would the answers really help us? His ways are not known to us and even knowing the answer might not help us to see the big picture. Do we remember in the painful times that when we hurt, God hurts as well? When I am asking “Why God, aren’t I really just seeking satisfaction for my doubts, am I showing a lack of trust? Maybe I am trying to live by explanations and not trusting the promises? Maybe I am asking the wrong question, instead of Why God, maybe I should be asking God to help me trust Him, for it is true that no one can do for me what He can. I think that during times like we are going through with my Dad, it is pretty easy to be distracted and that is exactly what we need to do everything in our power to prevent. We are promised strength and His hand to uphold us, but it is easy to be distracted when the going gets tough. It is easy to let discouragement and fear divert our attention from the promise God gives us of renewing our strength. I love Isaiah 40:31, so much so that I have a tattoo of it so I will never forget God’s promise to me. The thought that God will not only help me through this, He will see to it that I am given sufficient strength to do it. That is priceless, truly. 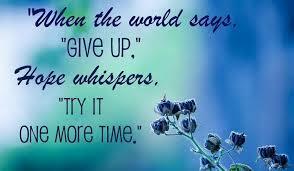 I saw a quote that said “when the world says give up , hope whispers, Try it one more time. I think that is wonderful advice. Being a Christian comes with certain duties, like telling others about the sacrifice of Christ. I read a recent survey that showed despite feeling the responsibility to do so, most Christians do not share their faith. It was a survey of over 1,000 Christians, over 78 percent said they had not shared with someone the way to become a Christian. 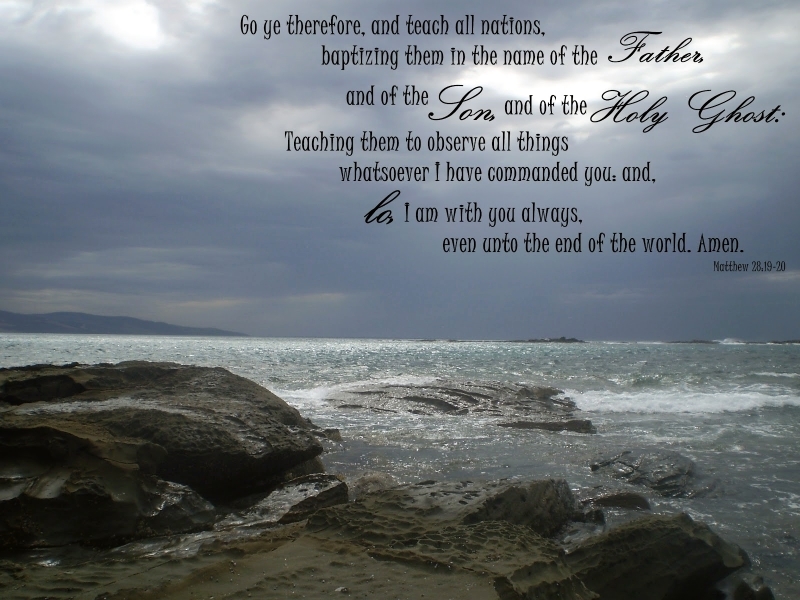 We can just look in Matthew 28:19-20 and read that we are commanded to share God’s good news. For some, sharing the gospel comes naturally but for others, like me, it is a fearful thing. The obvious thought is what if the person rejects what I am saying to them, are they thinking I am some sort of religious nut, are they thinking I am being overbearing and pushy or are they thinking I am just insane. What if I don’t know enough, I might offend someone, I might be ridiculed, or I might fail. You get it, it can be a scary thing. What I was not thinking was about God being a participant in this whole picture. It is easy to forget that the God I am telling others about is right there beside me, He wants me to spread the Gospel, He is going to be right there helping me. God isn’t going to throw me into a motorcycle ministry and just leave me hanging. I have to believe that God will guide my words and prompt me about proper timing. I believe that just as I felt a prompting and a yearning for God, so do some we run into on the road, God places certain people in our paths for a reason. However just because God placed them in our path doesn’t mean we should go at them with both guns blazing hot. It is hard to approach the subject of spirituality in the course of everyday conversation. But when I start backing down from my conviction of wanting to share God then it really isn’t a conviction at all, its just an inconvenience. The question probably shouldn’t be should I minister to this person but rather, how should I minister to this person? I know that I am supposed to be spreading the gospel, I just need to find a way that works for me and brings glory to God. I can do this by talking to God and inviting Him to come along with me on my mission field, I can do that by knowing what I am talking about by doing my homework. I can do that by walking just a bit closer to God . It would make no sense what so ever to walk up to someone randomly and out of the blue ask if they wanted to talk about Jesus, it just doesn’t seem like a good way to share the gospel. I think a good way to start a conversation would be…………….”nice bike”! I know from experience the conversation just flows from there.! 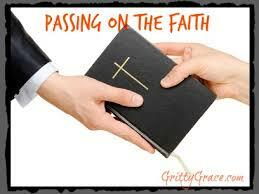 Passing on the faith. Grab God’s hand, never stop praying, and wait. It was a beautiful, warm spring day today and I got my bike out and rode, It felt wonderful and I had been waiting all winter to be able to ride again, life suddenly looks a lot brighter right along with the weather, or maybe because of the weather. But eventually I had to park the bike and as soon as I did I found that there were still two things on my mind that were rather weighty. I’m not sure I can stay awake long enough tonight to write about both issues so I am going to tackle the one that seems to have taken precedence in my heart. I am thinking a little bit about how things that happen In church when children are young can affect the way they look at the institution of the church for the rest of their lives. What do you do when your adult children reject organized religion because of things that happened when they were younger? Now I know that it isn’t about church and it is about a personal relationship with God, but too often when there is no Christian fellowship of any kind in our adult children’s lives it is pretty hard for them to regain a relationship with Christ. As a parent, that hurts. We want what is best for them because they are our children and we love them and we yearn for them to find the peace and joy we have found. We also have to realize that we can’t tell them how to live and we certainly cannot make a decision to have a relationship with Christ for them. Even though the desire may burn within us, we cannot manipulate or interfere or “assist God” when our children are adults, it may drive them further away. However, we can intervene with prayer. Prayer that is consistent, humble, thankful, and fully covering every concern. These are hard conversations to have with ourselves and certainly make for some regrets. After all, didn’t we try our best to teach them our religious beliefs, our ethical values and morals? Didn’t we try to instill in our children that fact the spiritual journey they are on is their journey, not our journey but we care deeply that they attain that goal. Then why does it feel so personal and hurt so very much when they reject the very thing that gives us our strength and hope? Why do we think it is our fault? We can spend time beating ourselves up for not being more vocal about faith matters or not being a better example or any one of a thousand things or we can start from this moment on praying for our adult children, sharing a book or article that has helped us in our lives and also sharing the reason why. There are plenty of things that we could do that are unobtrusive. Certainly keep talking to them at times in the least stressful way possible. There is a fine line here as we certainly do not want to force our faith on them or become overbearing about our beliefs. That could close any doors for future, healthy discussions on the God we love so much. I think that the Parable of the Prodigal Son ( found in Luke 15:11-32 can provide us with some advice. Just as the Father in this parable didn’t assume responsibility for changing the heart of his son and mind, neither should we, that isn’t our role. Our role is to pray and to wait…………….which is very hard to do when you are an impatient person as I tend to be. It is hard to wait for our children (no matter what their age) to come to the realization that they need a relationship with Christ because they have to come to end of themselves first. It is hard to stand by and watch events that cause adult children to re-evaluate their choices in life, but it can be life changing moments. I believe that our respect for our adult children should always be apparent as that keeps doors of communication open. Our actions speak louder than our words, even though they are adults, our children are paying more attention to how we are living than how we are telling them how they should live. Be honest and willing to admit where you are wrong and let them watch you do the right thing the next time. So grab God’s hand and accept His help as he guides you through this hurt and worry but never stop loving them, never, never stop praying for areas where God can get inside their hearts and always remember God loves them as much as He loves us. Seasons of Refreshing…………..Fear becomes faith, worry becomes worship and problems become opportunities for praise. BEAUTIFUL! This is how our morning went before going to the CMA Seasons of Refreshing in Sheridan this morning. ” Oh cool, spring is finally here, we get to ride to Sheridan to spend time with good friends. Wait a minute, it’s the middle of April and it is still dang cold out there, my bike is still firmly planted in the garage under its blanket and it is 30 blasted degrees outside. I may be a little unconventional at times, but the only thing I am riding to Seasons of Refreshing this morning is the heated car seat! When we arrived in Sheridan (after a cozy, heated ride) we did find friends, we found enough food to feed all of Sheridan and we settled in to get spiritually fed. The lesson was on Inner Armor and concentrated on four major themes. How we are waged in a war (Ephesians 6:12), making sure we are fighting the real enemy and not each other, how we can stand strong in the Lord and remembering that the battle is not ours, it belongs to the Lord and we are victorious by our dependence on our Fathers power. One of the statements in the workbook that caught me and gave me a lot to think on today was the thought that even as we are riding, fellowshipping and ministering to others, there is a battle being waged and we are in the center of it. It is a longstanding battle, it is an intense battle and it is relentless, whether we realize it or not. I am sitting in the back row with Earl and looking around the sanctuary. There are all kinds of different people here who are brothers and sisters in the Lord and who by the very nature of the one we serve, are engaged in the Battle of the Ages. The lesson went through the nature of the fight, but more importantly our strength and power in the Lord. I loved it when Hiram spoke of realizing who we are in Christ because it makes a difference in the battle. When we do this, we become certain that the battle isn’t ours, the battle belongs to the Lord. 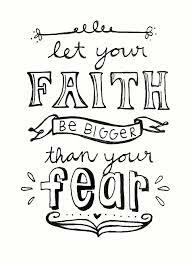 Fear becomes faith, worry becomes worship and problems become opportunities for praise. BEAUTIFUL! So now that we are equipped we are to go out and change hearts. We have the game plan, we have the generalities of how to win this spiritual battle. We are ready to armor up and go fight the giants…………….but I sure don’t feel ready. I feel like God forgot to relay pertinent parts of the plan to me. But being the normal human being I am I am sitting still looking around the room and thinking to myself. If I am ever in a spiritual situation like they are talking about, am I going to be able to apply what I learned today to the real world, the one I live in? The more I think about it the more sure I am that I don’t have what it takes to go out and change hearts in the course of my riding. It all sounds good when you are reading It in a book or sitting in a cozy and safe in church, but realit, as always, is a different story. Then it slowly dawns on me that God is giving us the plan, not a detailed and wordy account but the important parts the parts we really need. By now the light bulb is steadily glowing brighter and I am wondering if that isn’t part of God’s plan after all? We all know how much things have to be organized in my world, there has to be rhyme and reason and there has to be more than the next step revealed. I like every rung of the ladder visible with signs directing the way. Maybe, just maybe that isn’t the way He intended this to work . Though every single one of us sitting in that church were more than ready to jump on our bikes and ride, I wonder how many feel ill equipped to deliver once we find the hearts we are searching for. I am willing to bet, that God in His infinite wisdom, sees this as a power path in His plan to grow us into the spiritual followers of Christ we are capable of being. I truly believe that for God to give us a point by point detailed account of His plan would be to take away one of the best opportunities that we have to grow spiritually. When the plan is not detailed it forces us to dig in and search for answers, biblical answers. To find answers we are forced to look into the character of God, we have to look into our own hearts and (gasp) we have to open our Bibles. I also believe that God provides support when we need it, He gives us steady support in our CMA family and friends. He gives us all we need to clothe ourselves in our Inner Armor. However, and make no mistake about this, He does expect us to do the necessary labor and homework to use what we have been given effectively. I had to agree with Hiram as he stood in front of us today and said that obedience is critical. So get on your bike and draw some attention for Christ, God has an ARMY, after all, it’s His battle, not ours. That my friends is why it is worthwhile to surround ourselves with those who can help support us as we head into this spiritual battle to change hearts. Seasons of Refreshing 2014, a time for reflecting, learning, anticipating, hoping and mostly gratefulness. And that is the reason I ride………………..
Earl and I went to see Heaven Is Real tonight. I had been anticipating and was excited about seeing this since I heard the book was being made into a movie. I was excited because at one time Crossroads Wesleyan Church was my home church, Todd Burpo was my pastor and Imperial NE was the town I grew up and lived in until 2006. 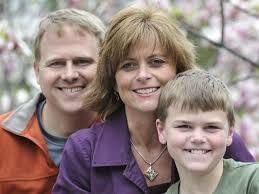 At one time my son Lucas even worked for Todd’s Overhead Door Company. I was excited to go to the movie to because I would know the people the actors were portraying, I would be familiar with the town the Burpo’s lived in, it was my hometown. It was with much anticipation that Earl and I walked into the packed theatre. From the opening scene I knew that the movie I was expecting was not the movie I was watching. Imperial on the screen looked nothing like the Imperial I used to live in and the Imperial my family still lives in, A lot of the businesses in the movie don’t even exist in Imperial and none of the names were recognizable to me. It was disappointing. However, something bigger was happening, God knew that if I was busy telling Earl, hey I know so and so, or, look there is the business I was just in last visit, that my attention was not where it needed to be. I cannot speak for anyone else and I certainly am not a movie critic but this movie spoke volumes to me. I don’t know much about near death experiences but I can tell you this, I do know about questioning your faith. Todd Burpo was about the last person on this earth that I would have guessed would have a time when He had doubts and was wrestling with questions or worse yet, having the church you pastor lose faith in you. Strangely enough this spoke volumes to me. This movie wasn’t about the people I knew, or the familiar sights of Imperial. Heaven Is Real was about the exploration of your faith, the fact that if God is working in your life, not everyone is going to understand what God is doing and some people may be downright nasty about it . You may lose friends, lose your job and lose your dignity. If God is working in your life, not everyone is going to understand what God is doing, not everyone is going to support you and some are even going to think you are downright nuts. This movie reminded me that even the strongest and most faithful have times when the art of following God is hard and we feel lost and simply can’t figure out how to put one foot in front of the other to go on. Oh how heartening was for me to watch how this unfolded, anticipating the movie for one reason, loving it for quite another. The movie confirmed yet another aspect of God revealing to me exactly what He needed me to see. 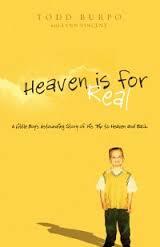 Heaven is Real wasn’t just about a little boy who went to Heaven and came back to tell about it, it was about clarifying and showing us our needs, it was about tolerance ,discernment and reliance upon our Father. God uses different ways to direct us, whatever God was trying to show the Burpos, He used their son, God was directing me through the movie. Sometimes it takes a painful or confusing situation to make us change or to make us see what God wants us to see. Faith is tested , problems corrected and people perfected through trials. Thank you God for taking away what I had been anticipating and was excited to experience and giving me that which had the ability to show tests, corrections and the way to perfection. You may have different ideas about the movie and thats’ok to, but the great thing about God is He individualizes resources and in just the ways that is going to touch us and turn light bulbs on, He shows us what we need to see, when we need to see it and how we need to see it. The Burpos, still working for the Glory of God. One of the ways we can serve God is by serving people. 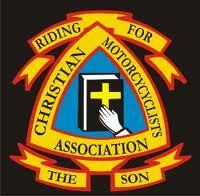 Our ministry in CMA is to reach out to other bikers as we run across them and “change hearts”. It is relatively easy to find someone to talk to you, bikers are just like that, put on your colors and they truly do serve as a magnet, it is amazing when it happens, and it happens a lot. Something haunts me however, or at least has been on my mind quite a bit. Let me back up just a second though. I know my ministry is to be a written ministry, God has given me that gift, but I know that it is to involve traveling on my motorcycle also. It is not hard to draw attention when you are riding a motorcycle, especially when you are a woman, said humbly but with truth! That isn’t the problem. I have made a commitment that I will not ride my motorcycle without my CMA colors on. I want to be easily identified as a daughter of the King for the purpose of evangelism. 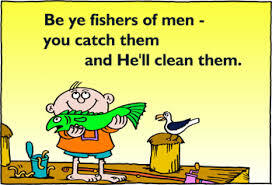 Matthew 4:19 tells us to go out and Jesus will make us “fishers of men”. Notable however, immediately preceding that statement Jesus said, “follow me”. He calls us, not face to face these days, but He does indeed call us. He trains us through His word and mostly He loves us. He multiplies Himself through us. We become fishers of men, so that those we reach can do the same and the Word can be spread throughout the land. That brings me full circle, I do talk to a lot of people when I am out riding, but the thing that bothers me is what about the ones who I don’t talk to directly but our paths cross none the less. I am the first to admit that talking is not my strong point, writing is. God has placed it on my heart to reach others that love Christ or love biking or better yet, love both, as much as I do with the written word. An article in a magazine, a trac left here or there on our travels, (which are pretty extensive by the way), a posting on my blog or on facebook. I am not certain how it is to unfold but I am certain it is supposed to and is going to. When I was talking of this uncertainty to a good friend of mine in church yesterday, she in her always wise ways looks at me and said, that isn’t your concern, do what God is telling you and He will do the rest. Enough said. I think I will “follow” as I ride. When you are on a mission and cannot be deterred, just go with it! I was on a mission today when I got home from work. I pulled into the driveway, pulled on my riding boots, grabbed a jacket, a pair of gloves and the key to my bike. There was no way I was letting this weather pass without riding at least a little way. As stands to reason, my course had to include going by where hubby works and slipping through the parking lot, not to rub it in that he was working and I was riding but something much more innocent, ok maybe not, I was rubbing it in. Riding gives me a chance to think and these were my thoughts today. We ride motorcycles for many reasons and I think that I have made it pretty clear what riding has done for me. It has meant empowerment, finding out what I am capable of, freedom, confidence, it was about me growing into who I was capable of being. However, as life is so fond of doing, riding started to evolve from simply “riding” for pleasure to wanting something more out of my time on the bike, I wanted to ride with a purpose and travel with meaning. This has been a season of searching for me and I don’t know why it surprises me that something I love as much as riding my motorcycle would not be included in the evolution. 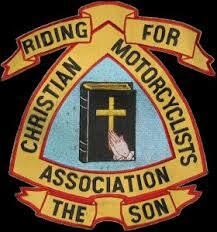 Earl and I sort of gravitated to Christian Motorcyclists Association (CMA) looking for riding companions, and fellowship but found so much more. Not knowing anything about this group when we joined we were surprised to find that God had plopped us right in the midst of a group of people that were generous but not obnoxious with their faith and welcomed us with open arms. We go for dinner rides, we have breakfast meetings and we ride, but more than that, much more than that, is the fact that as unlikely as it seems, I found a way to ride with meaning and ride with purpose that for me anyway, is much more possible as part of a group of likeminded people. I may ride alone a lot but now I know I have a readily available support system that is plugged in to God. I like the fact that CMA has a doctrinal statement and a mission statement because I like boundaries and goals, but yet the mission field is not hemmed in by four walls and is only limited by how far you feel like riding that day. I like the fact that you put on the CMA logo and you are instantly recognizable as someone who loves God, which opens up a lot of conversations and the right conversations can lead to changed lives. The sad fact is that bikers have a bad reputation and just like any other group of people, there are a few bad apples but by and large bikers and the most generous and gentle people I know. We can have a part in changing that negative image to who we really are by letting our hearts and souls shine with the love of Christ. Now that Run for the Son is upon us I am finding that the one fundraising event CMA undertakes, has taken on a whole new meaning to me. It is no longer about getting enough donations to get the free t-shirt, it is about reaching out to anyone we run into along the way, it is about fellowship, it is about sharing the precious news that Jesus is the road to salvation. God has a plan, I have His vision and together we can travel a long ways. Right now I have a fire that in me that is burning hot, and I want to join the forces that are “changing the world one heart at a time” I want to raise money but not for a shirt that I may or may not wear but to raise money to make sure as many people as possible are reached with the good news of Christ. Run for the Son on the surface is raising money just like thousands of other causes, but I found it is so much more than money, it is about freedom, love, eternal life, fellowship, and the chance to tell others about the God who loves us enough to keep His hand extended to us no matter what. I glow from the inside when I think of the unconditional love that God serves up to us all and to get the chance to tell others about that love PLUS ride my bike, well that makes me glow like a light bulb! If you have never stood in a parking lot around dozens of bikes, linking hands with the riders of those bikes as a unified prayer is lifted upwards, try it, it is indescribable. The logo that immediately identifies you as a follower of Christ is a magnet for conversations about our Lord. If you have never had a perfect stranger come up and say thank you for the things the people in your motorcycle club do, trust me, it is amazing. It is thrilling to know that a ride isn’t just a ride anymore, a ride is a chance to share the love of our Father and watch Him work as He changes lives. You certainly do not have to belong to this certain Christian Motorcycle club to do this or feel this way, or any club for that matter, but I am speaking for me only, it makes a world of difference to have support of this kind behind you. Imagine, All because you decided to take a motorcycle ride!